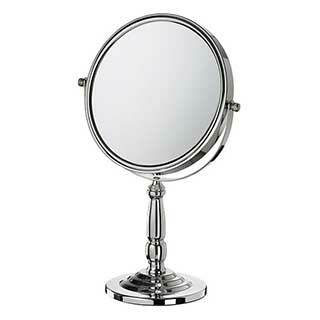 High quality hotel free standing double sided vanity/shaving mirror. This free-standing chrome mirror is a useful bathroom accessory for your guests. Regular magnification and x5 magnification (double sided). 23 (dia.) x 38 (h) cm.